Tasty, easy to make, and way better than your boyfriend. Yup, these tasty morsels will never let you down. 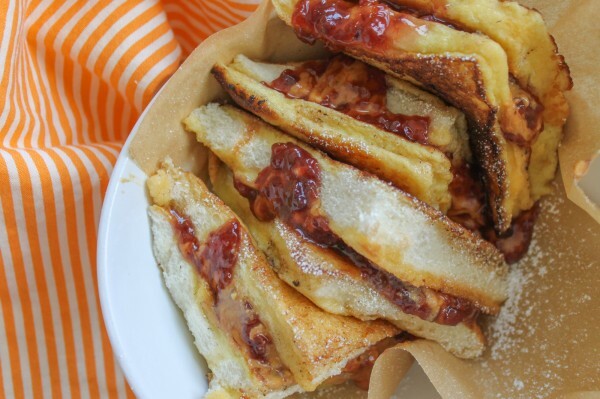 Whether it’s the Guacamole Grilled Cheese or the Peanut Butter & Jelly French Toast Sandwich, these sandwich recipes are loads of fun on a bun! Well, when there is a bun… that is. So let’s get to the drooling part, shall we? More fun, less bun! 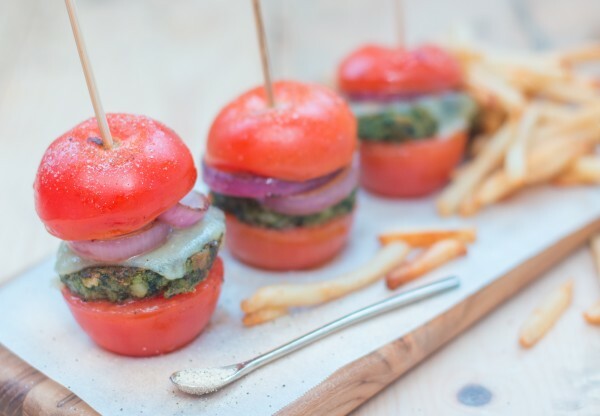 But seriously, what a unique and tasty way to add more veggies (or is it a fruit?!) to your diet. No gimmicks or giving up what you love–a good burger. I finished these babies off with some locally foraged salt that has seaweed in it. If you’re watching your sodium… try some fresh herbs instead. Making too many waffles for Sunday breakfast is something were all guilty of, right? Sure, you can freeze them for another day but frozen waffles never quite taste like the fresh ones. 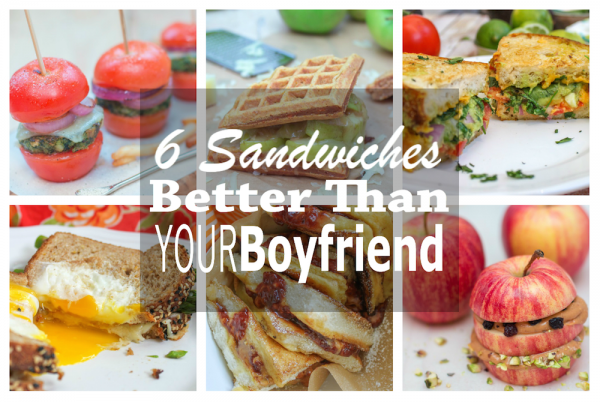 So here’s a great way to use up those extra waffles: sandwiches! 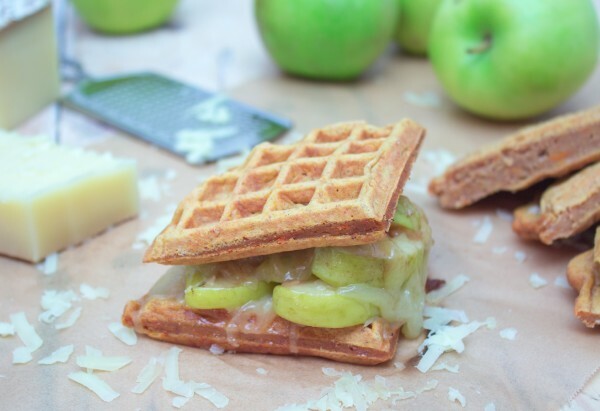 I did a melt with apples and Gruyere and it was amazingness on a bun (er, waffle), but almost anything could work. What is there to really say about this sandwich? 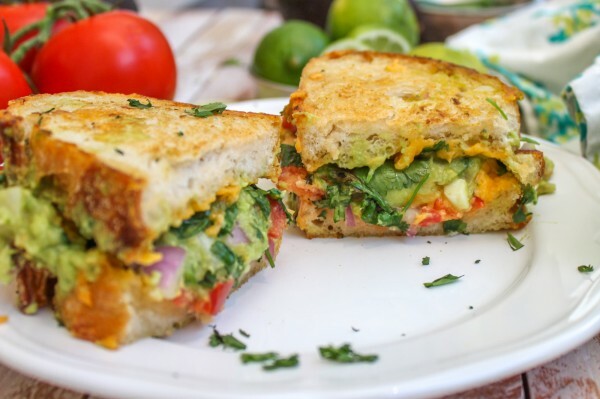 It’s a gooey grilled cheese stuffed to the gills with fresh guacamole. It’s hearty, spicy, and so tasty… you’ll probably eat two. I did. Since we are talking grilled cheese sandwiches, I might as well bring this one up: egg in a hole grilled cheese. This sandwich is the very definition of gluttony. 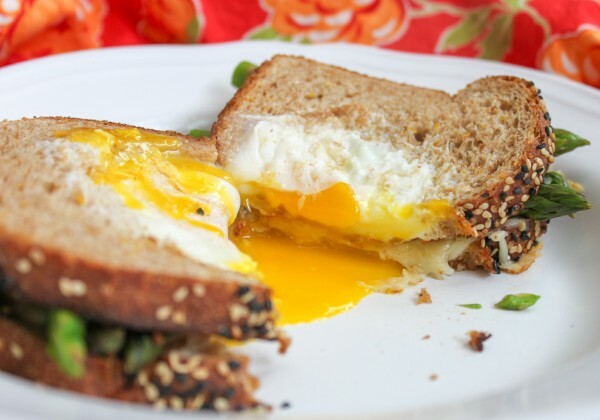 Gooey cheese and crisp asparagus come together only to be covered in the runny yolk of an egg in a hole. I mean, really, it is TDF if there ever was something. Oh, that is to die for. 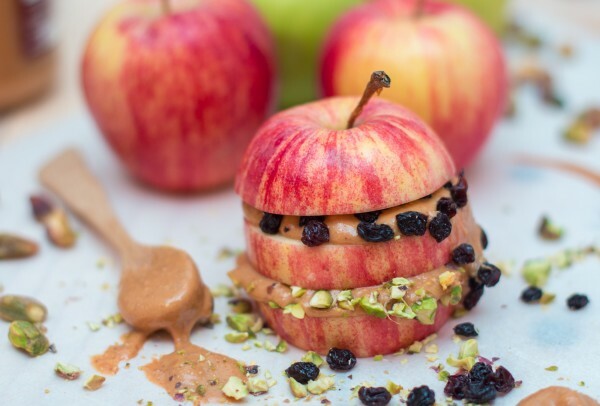 Now, who says an over the top sandwich has to be unhealthy. Sure, dripping with cheese and egg are great but healthy ingredients can just as easily knock those socks off. What’s wonderful about this recipe is how tasty and messy it is. It’s also very kid-friendly! Here’s the arch nemesis to the above sandwich. Also stuffed with yummy peanut butter, but this PB&J is smashed between two pieces of French toast and dusted with powder sugar. Who knew peanut butter and jelly could look so serious?